Paolo worked in advertising for more than twelve years in the Philippines and Paris. He served as Global Communication Manager for Nestle’s Dairy Strategic Business Unit in Switzerland, before moving to Nestlé China and later to Nestlé Philippines. With a background in Psychology, he is passionate about consumer insight and its applications in advertising and marketing effectiveness. 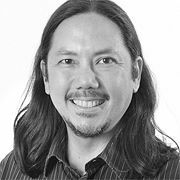 In the Philippines he worked closely with the University of Asia & the Pacific (UA&P) as a lecturer in Consumer Insight and Integrated Marketing Communications. Paolo grew up in a creative family. His father was an adman who founded his own agency, and his mother a writer. He has a strong passion for the performing arts and spent more than 10 years acting, writing and directing theater productions. Paolo attended Ateneo de Manila University where he obtained a Bachelor degree in Psychology and did post-graduate studies in Social Psychology. He began his creative marketing journey as a Strategic Planning Director at Publicis Philippines, and worked in various positions at Publicis Worldwide Paris, Publicis Manila and Publicis Worldwide Paris before joining Nestle in the summer of 2008.